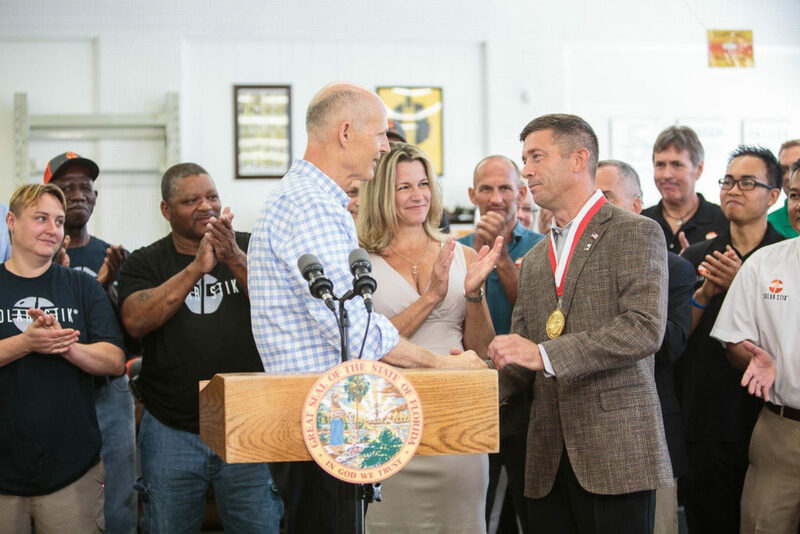 AUGUSTINE, Fla., Aug. 17, 2018—Solar Stik®, Inc. hosted Florida Governor Rick Scott for the announcement of the state’s lowest unemployment rate in more than 10 years. Governor Scott attributed the creation of 26,300 private-sector jobs in July to the 3.7 percent unemployment rate. 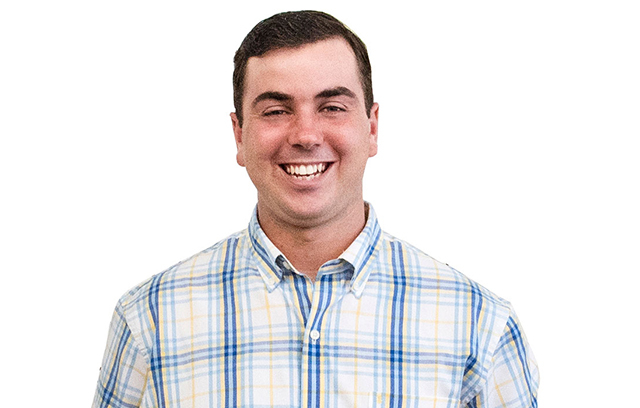 During the past three months, Solar Stik has added four new hires to its now 35-member Team. Governor Scott also presented Brian Bosley, Solar Stik CEO and co-founder, with the Governor’s Ambassador of Business Award at the morning press conference. The medal is given to individuals for their efforts in creating jobs and opportunities for Florida families. 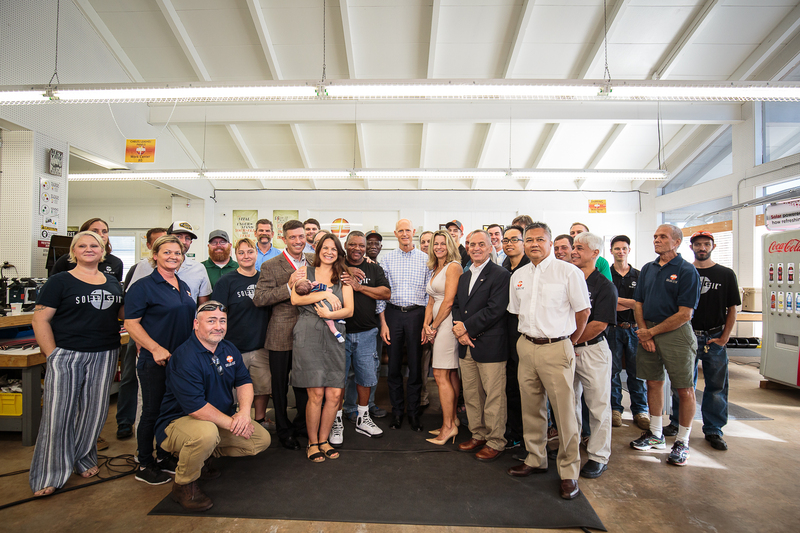 Following Governor Scott’s announcement, he visited with members of Solar Stik’s Production Team at their work stations and toured the facility. He also was shown samples of several products Solar Stik supplied to state and international emergency relief organizations in Texas, the Florida Keys, Puerto Rico, and the Virgin Islands after Hurricanes Harvey, Maria, and Irma. Visit SolarStik.com to learn more about its products, people, and company culture. 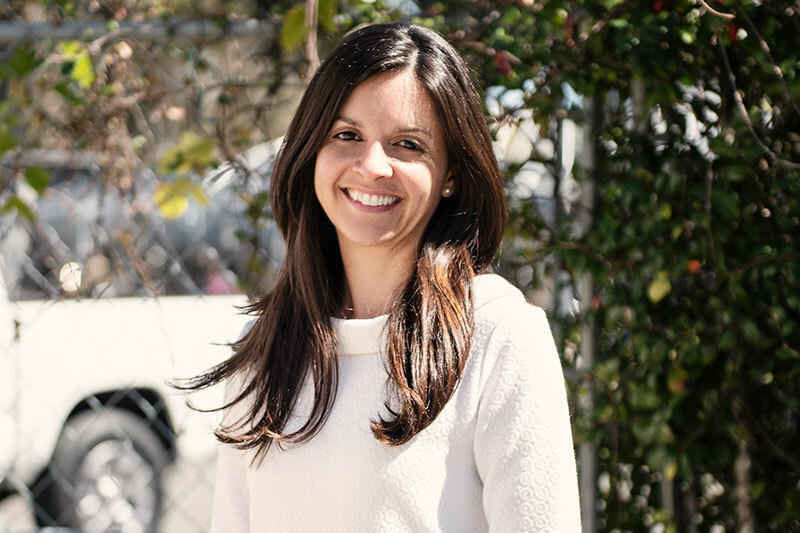 Contact Ceal Potts, marketing specialist, at cpotts@solarstik.com or 800-793-4364 ext. 140 for more information. Follow us on Twitter and Facebook using @solarstik.